When Kylie Mar of Made In Hollywood claimed that Disney's "Big Hero 6" was the "Best animated film of the year" he couldn't have been more right. Today Walt Disney Animation Studios announced that their Academy Award®-winning "Big Hero 6" became the #1 animated title of 2014. In fact, the movie surpassed "Tangled" to become the third biggest Walt Disney Animation Studios release ever globally, behind only "Frozen" and The Lion King. Directed by Don Hall and Chris Williams and produced by Roy Conli, this action-packed comedy adventure, centers on the special bond between Hiro Hamada and Baymax, a plus-sized inflatable, huggable robot. 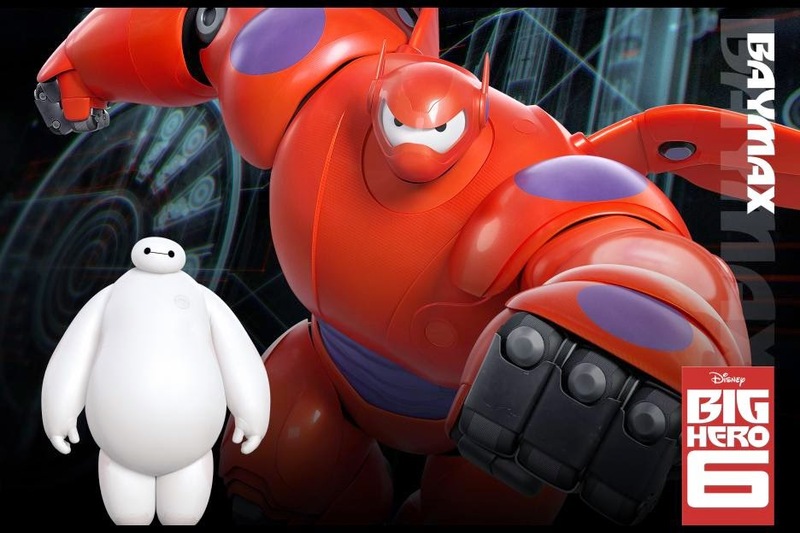 Full of heart and humour, Walt Disney Animation Studios delivers yet again with “Big Hero 6”. Prepare to shed a tear when a devastating turn of events results in the untimely demise of Hiro's older brother. Then, as a dangerous plot unfolds in the streets of San Fransokyo, Hiro turns to Baymax and his eclectic group of friends — adrenaline junkie Go Go Tomago, neatnik Wasabi, chemistry whiz Honey Lemon and fanboy Fred — who transform into a band of six unlikely heroes. 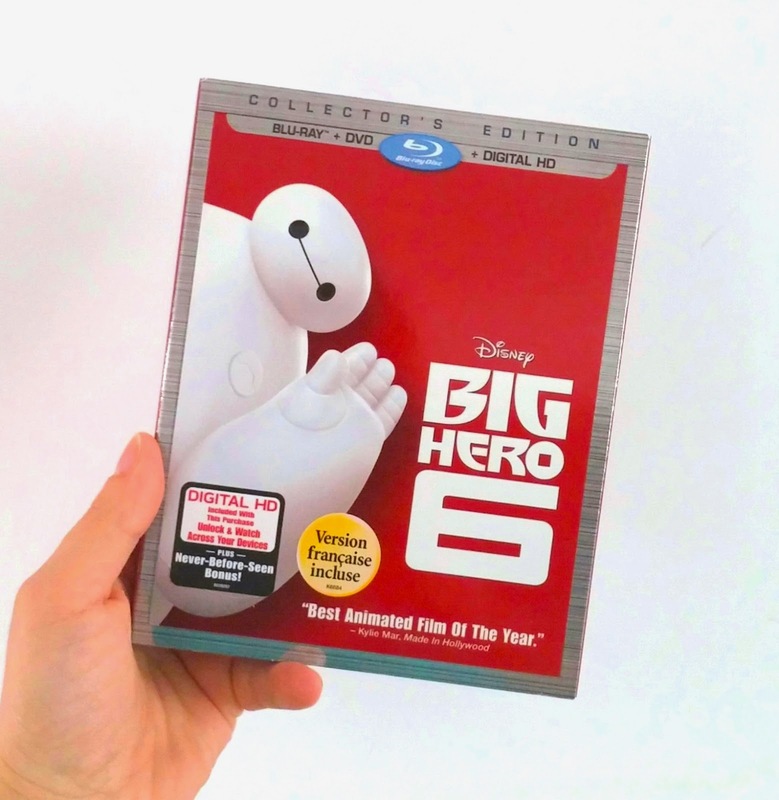 This Big Hero 6 Collector's Edition includes Blu-Ray, DVD and Digital HD. Also included is the theatrical short "Feast", the Origin Story of Big Hero 6, Big Hero Secrets, Big Animator 6: The Characters Behind the Characters and deleted scenes. French version also included. If you are looking to own a copy of Disney's Big Hero 6 Collector's Edition, head on over to Walmart.ca where it is currently listed at $30.96. Plus, enjoy free shipping. 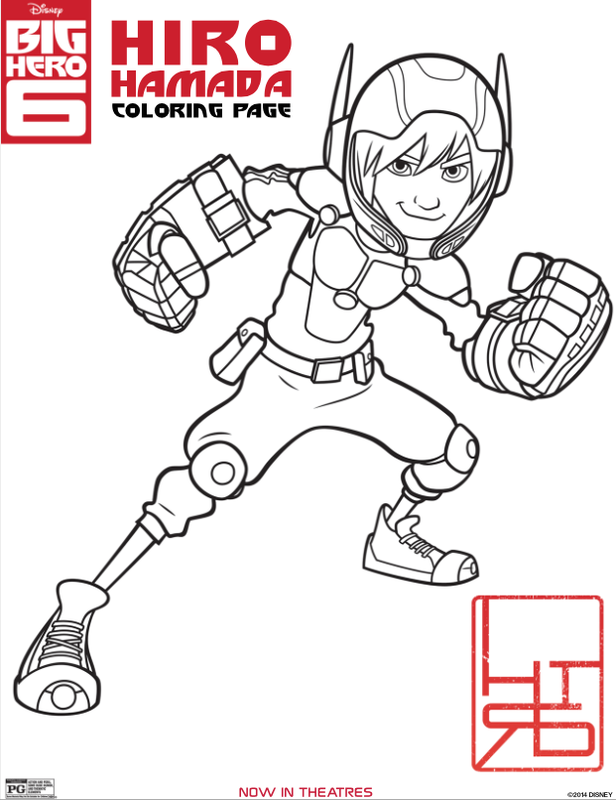 And while you wait for your special delivery, why not download some Big Hero 6 colouring pages? 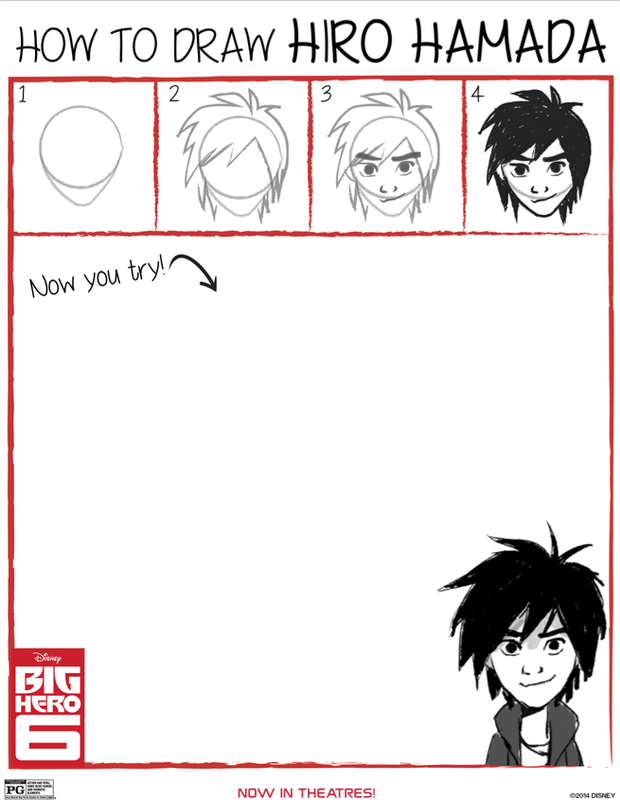 Click on any of the thumbnails to download your favourite characters including Hiro, Fred, Baymax and more. 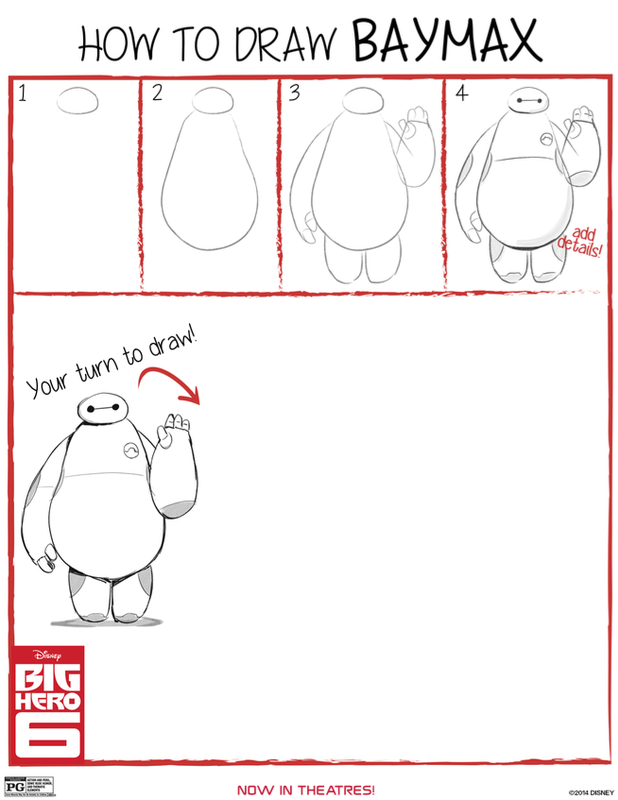 Want to learn how to draw Hiro and Baymax? Check out the mini tutorials below. Images and PDF files provided by Walt Disney Motion Pictures Canada. It's definitely one for the Disney vault. Hope they come out with a sequel. I can't believe my boys haven't seen this movie yet. They would love it! Though there is another sad part near the end. My son's friend teared up in the theatre when we first saw it. Oh boy…that means I will tear up. I'm such a softy. Can you blame them? 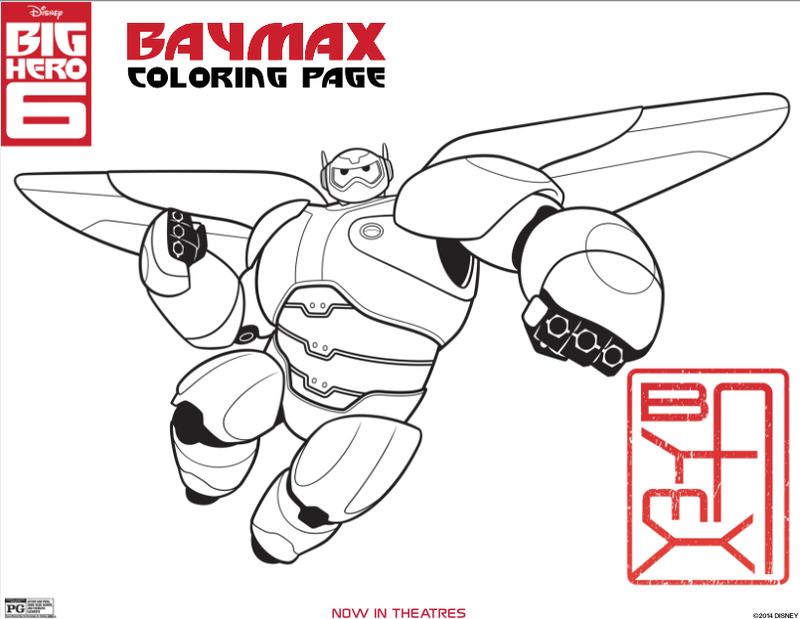 Baymax is so adorable! My kids loved this movie so much they were the ones to keep reminding me when it was coming out on dvd! Ha ha! Definitely a great gift idea. My nephew loved this movie!!!! I'm not surprised. It's really good! We still haven't watched this movie yet! My son is obssessed with this movie, best movie i've seen form Disney in awhile! I can't wait to watch this with my grandkids and hubby! 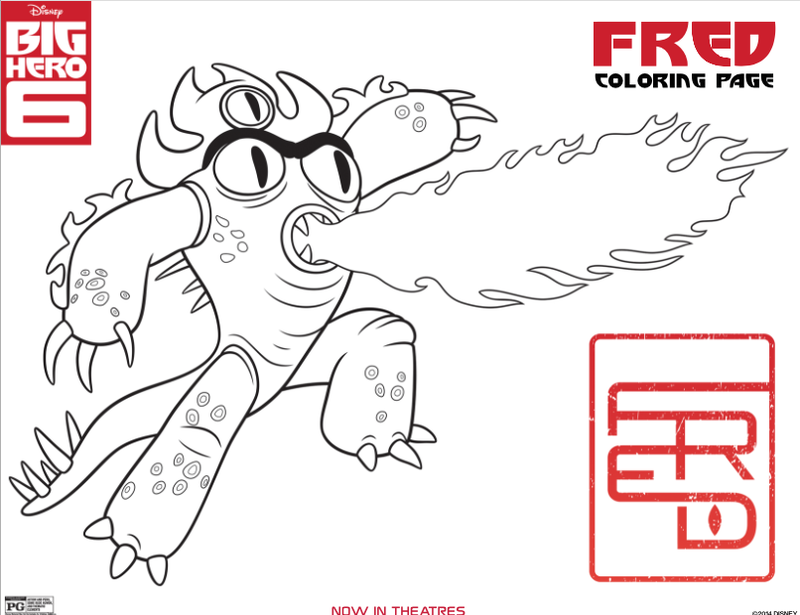 My kids really want to see this. I watched this with my family last week while my oldest was home from college and let me say we all loved it ! right from my 5 year old to my 19 year old son and both my husband of myself ! great movie ! We really want to see this~I almost think I want to see BH6 more than my son and little brother lol. My little cousins like this movie. Awesome printables. Big Hero 6 is such an awesome movie. I am excited to watch it again.